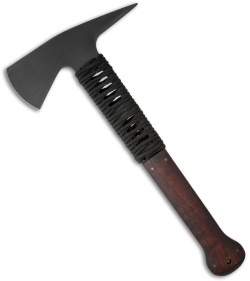 The WKII Ranger Axe has a full tang handle featuring a unique cord wrap and maple wood design. It has a distinctive axe head that is based on the original hatchet used by Roger's Rangers in the early 1700's. 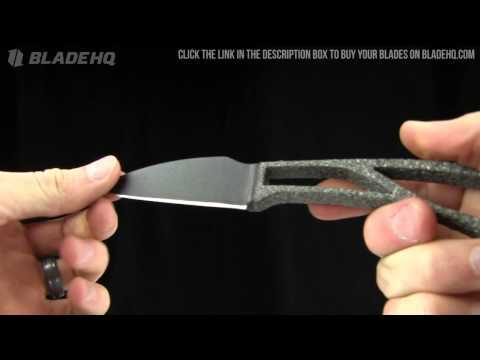 The blade is made from 80CRV2 steel with a black caswell no-glare finish. 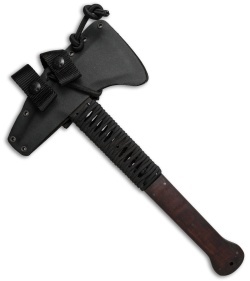 It comes equipped with a felt lined Kydex carrier with nylon webbing belt hangers.